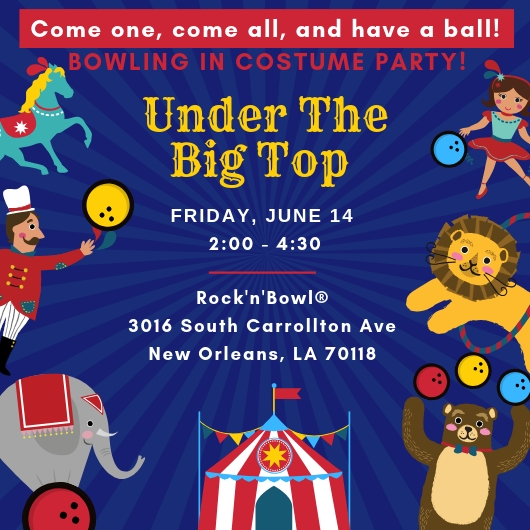 Come One, Come All, Come in Costume & Have a Ball! Draw your costume inspiration from the greatest show on Earth! Awards will be presented to individual and group costumes. Admission includes food, fountain drinks, select draft beer and wine. We will have chances to win door prizes (must be present to win). All net proceeds from the event will benefit Each One Save One! Team admissions are only available by completing the form below & turning it in with payment. Until payment is received, teams are not confirmed! Traveling from the Northshore? 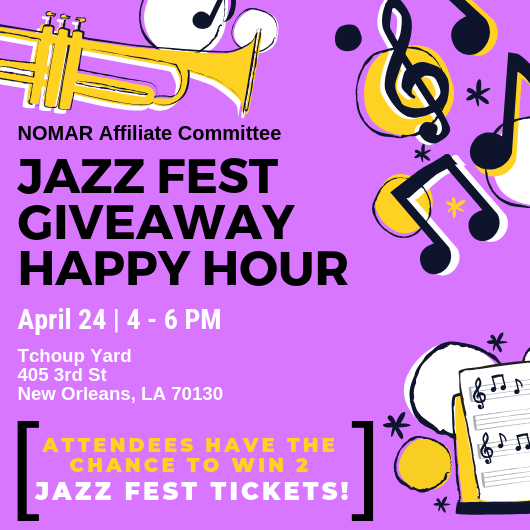 Join us on the NOMAR & NABOR bus for FREE roundtrip transportation. Register for the bus here. 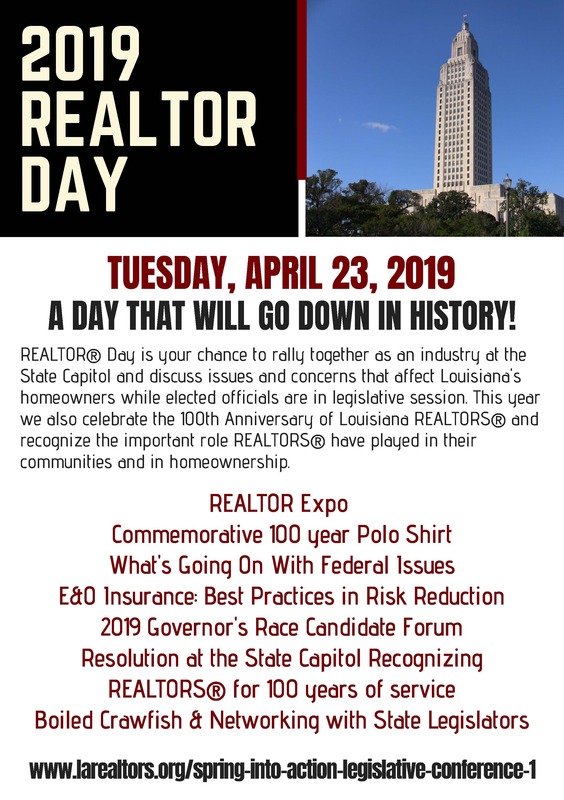 For more information on REALTOR® Day, including the complete schedule, click here. 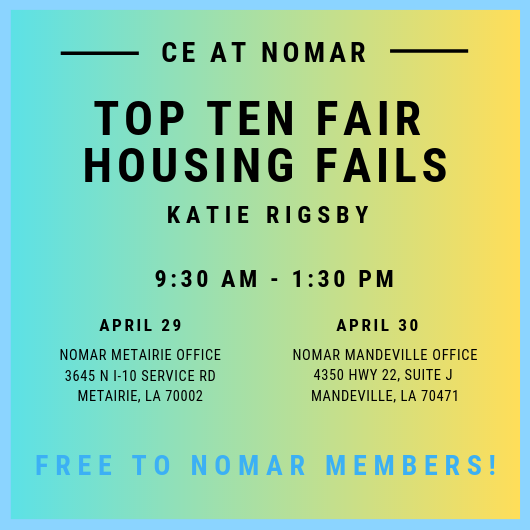 Join Us in the River Parishes for Networking and CE! First Power Hour's of The REALTOR® Excellence Series! REALTOR® Mixer at Mo's Chalet! Take Action To Protect Middle-Class Homeowners! Vote Desiree Charbonnet for Mayor! Second Annual Northshore Bowling Party! Forecast Ticket Deadline MOVED to Oct. 6! Did You Attend REALTOR® Appreciation Day? Congratulations to our Newly-Elected 2017 CID Board of Directors! Northshore Bowling Tournament Nov. 17! 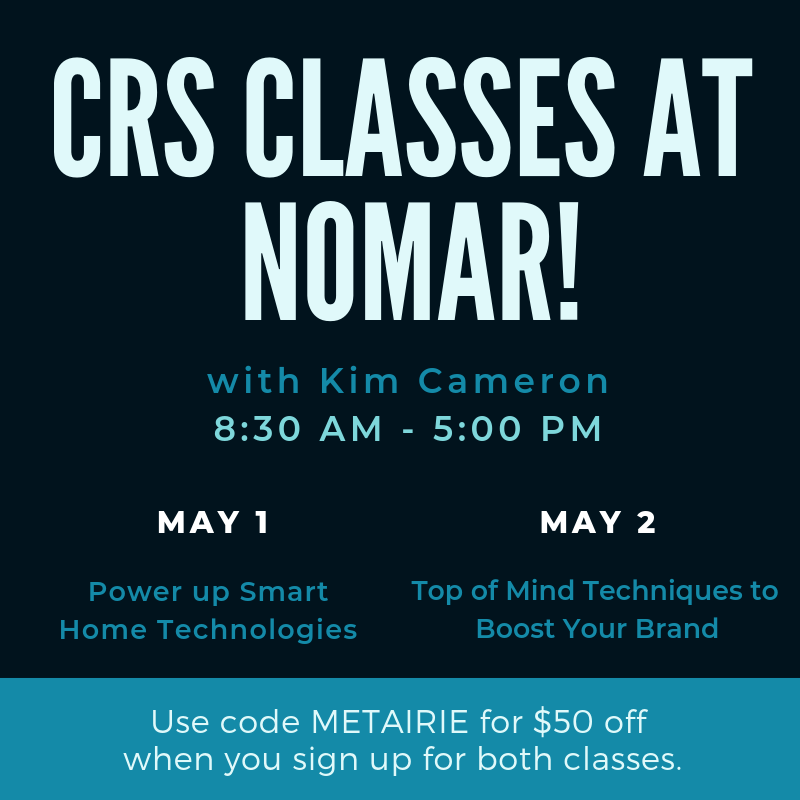 Two Courses From LR Being Offered at NOMAR! We Want YOU on our 2018 Board of Directors! Have You Completed COE Cycle 4? Have You Completed Code of Ethics Cycle V? WCR Presents "An Evening in Monte Carlo"
Jefferson Parish Public Schools Improve from D -2011 to B -2013! Thank You 2014 RAD Sponsors!